On Tuesday, November 30, an EF2 tornado with windspeeds of approximately 130 mph, blazed a trail of misery and destruction throughout portions of the City of Buford in Gwinnett County, GA. Hit particularly hard was the Kirkstone Subdivision, an enclave of upscale homes situated in the northermost part of the county. According to emergency management officials, 56 homes were damaged, while 12 homes were rendered uninhabitable. 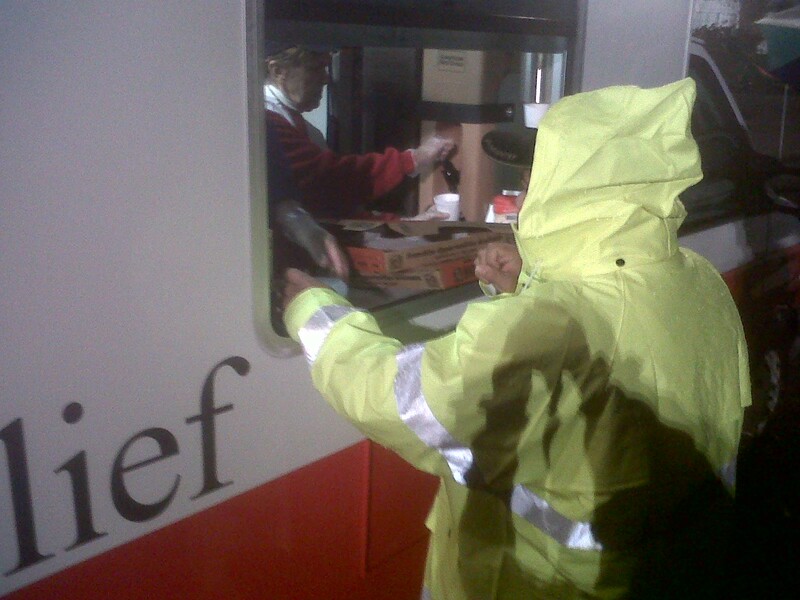 Immediately after the storm’s onslaught, Red Cross volunteers swung into action, conducting disaster assessments jointly with the Gwinnett County Emergency Management Agency and providing hot food and beverages to beleaguered homeowners and first responders. 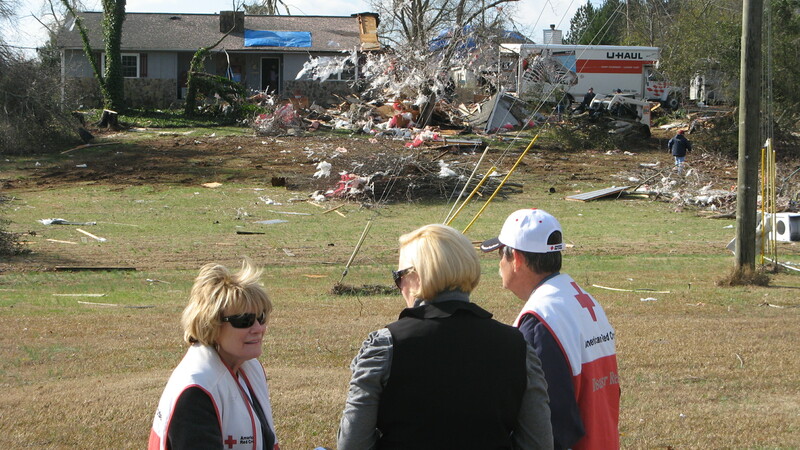 Red Cross volunteers also assessed the needs of the tornado-weary, providing food and overnight shelter to four families. Red Cross volunteers returned to the storm- ravaged subdivision the following day, providing snacks and beverages and reassuring residents that the Red Cross was there to help.